We have been fans of the Awesomatix A700 (See here) so when they announced an A800 we were very excited to see what was on offer. The big change is that the shaft has gone, and belts are here. The car is available in two specifications, one with a carbon chassis, the other with aluminium. 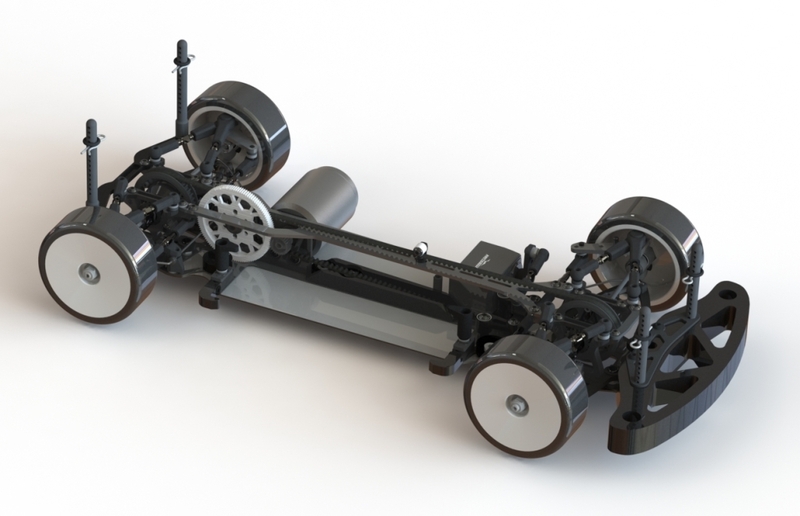 Suspension system with rotary dampers, A-type lower arms and top links. 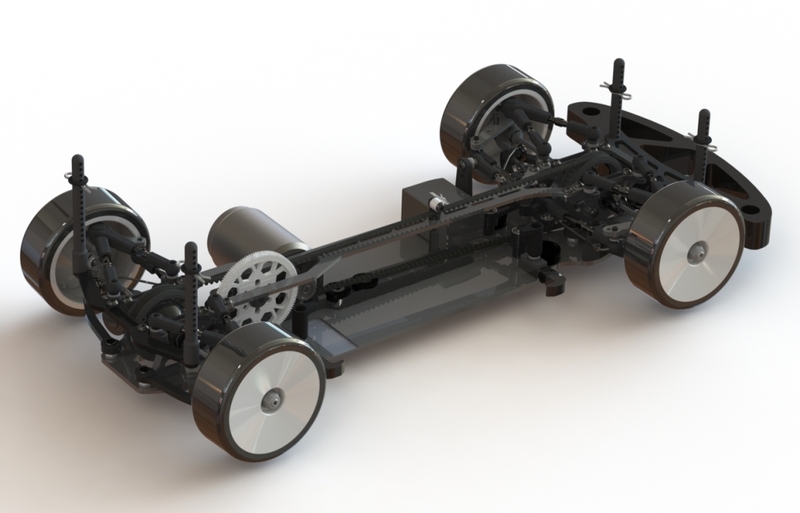 The innermost position of the motor and battery to the car's axis, at least 4 mm overall narrower compared to others current 2-belts top cars. The most centralized position of the belts around the car’s center line for reduced twisting of chassis at power transfer. Possibility to change spur gear in few seconds without removing the top deck and center pulley. Extra lightweight front spool, gear diff and alloy center pulley provide improved acceleration and reduced loss of power. 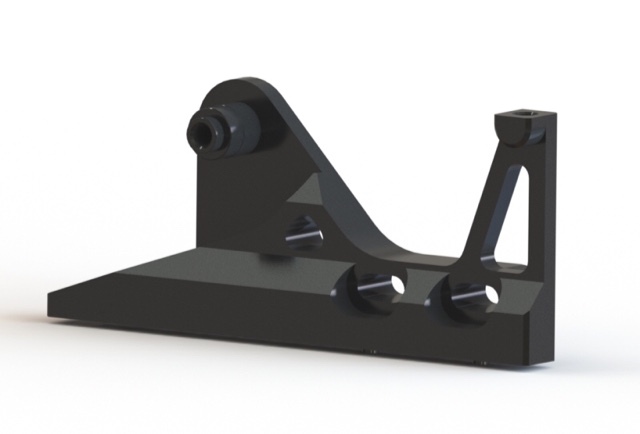 One piece motor mount is attached exactly on the center line of the chassis for symmetrical tweak-free flex. 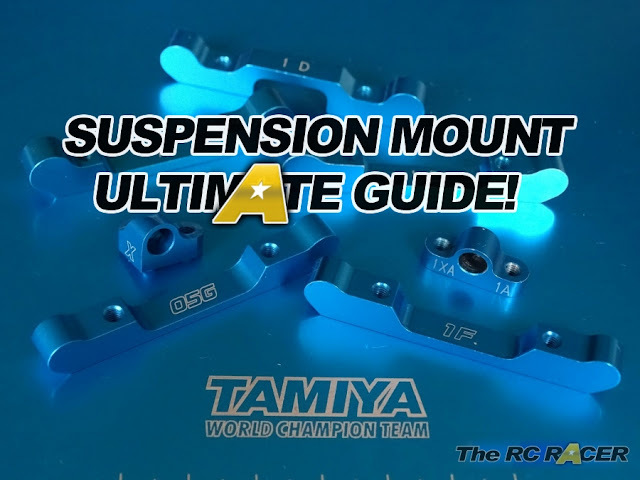 Motor mount integrates chassis flex tuning options to handle various grip levels. Chassis designed with symmetrical cutouts and recessed areas for symmetrical flex. Choice of alloy or carbon chassis for kit. Alloy central stiffener of chassis for multi steps flex tuning option and for increasing of the longitudinal stiffness. Top deck offers a "floating" option for extended tuning of car flex. “Keyed” bulkheads and motor mount for precise arrangement on the chassis. All bulkheads, alloy lower arms and improved “flexy” alloy steering blocks are the same for front and rear, left and right. Additional 10 g and 5 g weights with flex affecting option. The car is available to pre-order and it costs less than the A700. We cannot wait to see more.